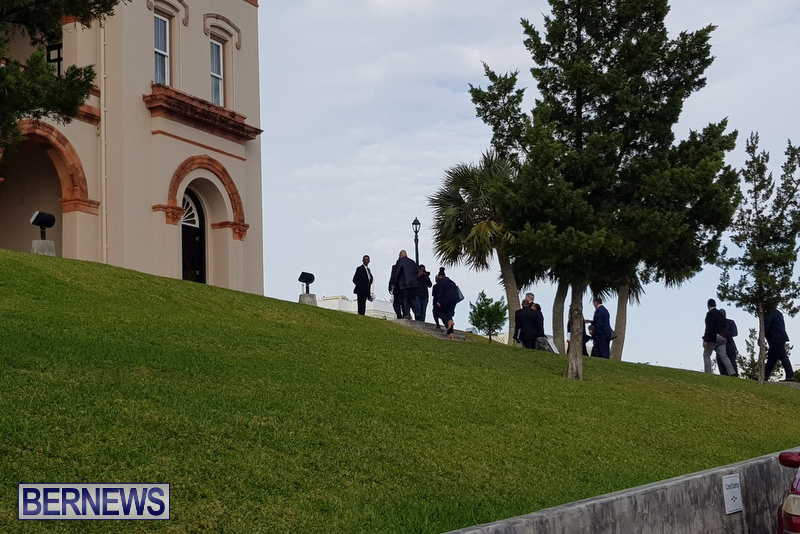 [Updated with video] Bermuda Fire and Rescue Service personnel attended Parliament grounds this afternoon [March 2] where an activated fire alarm resulted in the building being evacuated during the budget debate. 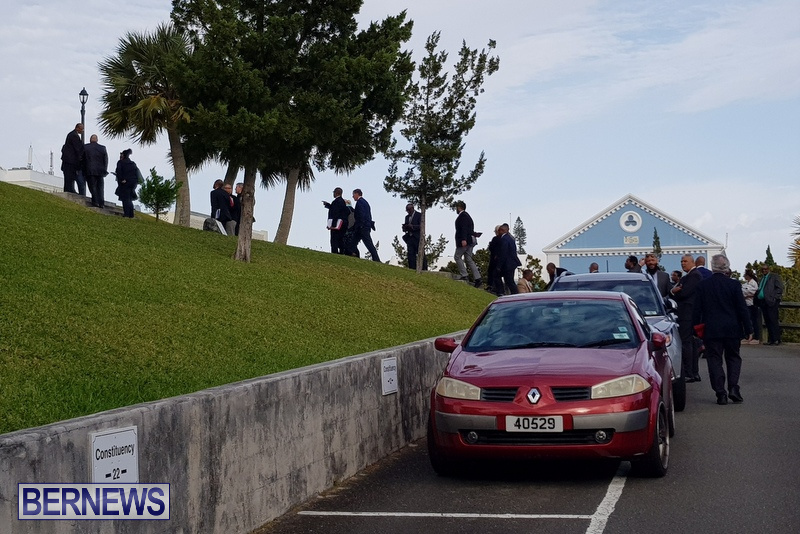 Members of Parliament could be seen gathering outside the building while Fire Service personnel investigated the alarm. People were allowed to return to the building a short time later. Further details are limited at this time, however we will update as able. 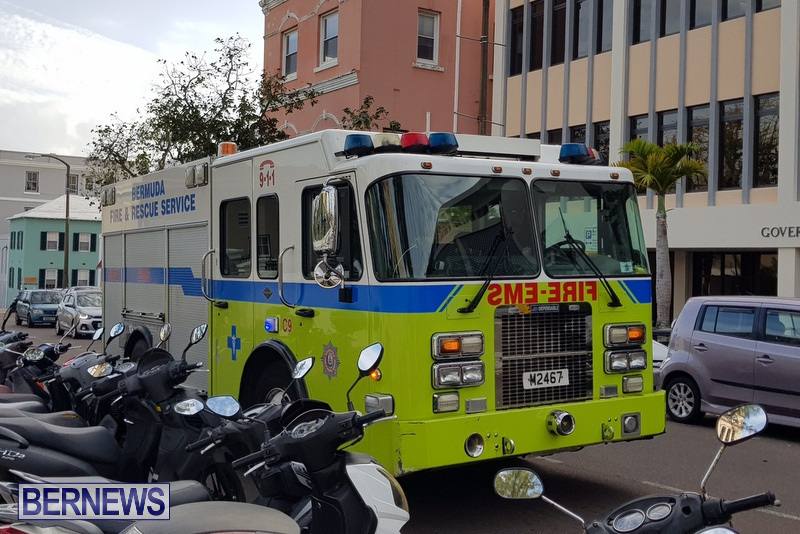 Audio of House resuming following the fire alarm below. Smoke coming outta someone’s ears? Can hot air set off a fire alarm? Must be de same person that broke Caines water pipes de night of de election.